Glasses have been a huge part of my life ever since I was fifteen. I can remember vividly struggling to read the board during history class and asking my mum if I could book an eye test to see what was up, half wanting glasses to look more intelligent and half wanting to actually be able to see the result of the Russian Revolution. Back then glasses were just starting to become cool, offering a range of chunkier and more fashion led frames that I fully embraced; over the years they’ve become so on-trend and so much of a fashion statement that even those with 20/20 vision are wearing false frames just to add a touch of geek chic to their look. For me, glasses have always offered another way to accessorize; although I love my contacts and wear them whenever I’m ‘out out’, my specs provide a way to give my eyes a rest while looking rather cool. (I’m up to eight pairs and counting.) 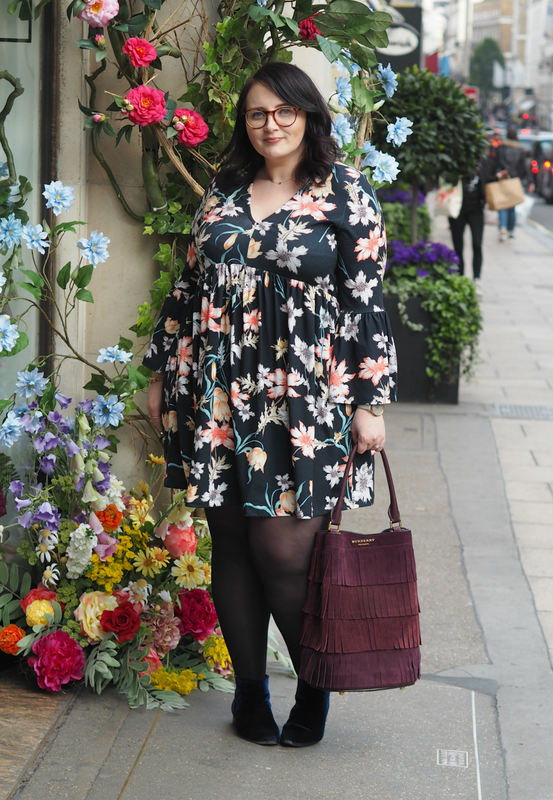 Over the years I’ve read to many pieces that claim to offer advice on how best to wear your frames and what makeup you should be applying, but most advice is faffy and impractical – especially when I wear glasses on days when I want to look a bit more relaxed. 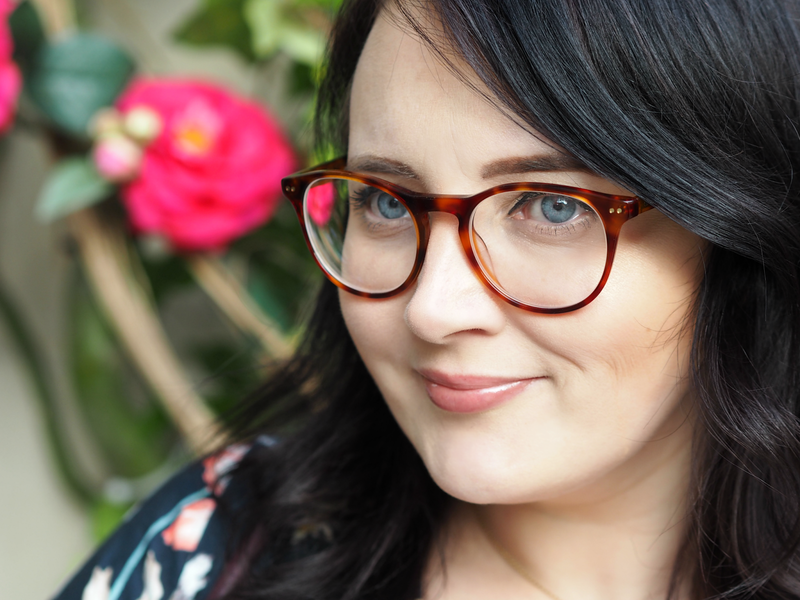 So I’ve pulled together five of my top tips for those of you that have specs appeal and want to look fabulous every day of the week. Although contouring is great and adding blush to cheeks ensures your complexion looks delicately flushed, for me the key to any ‘glasses day’ is having a great base. I always like my skin to look super fresh and radiant, rather than overdone, as it helps your frames to pop and to convey effortlessness. Using a BB Cream (like my fave one from Clarins) is a great way of concealing imperfections while ensuring a incredibly understated finish, while a touch of highlighter helps to catch the light. On the occasions when I can’t face wearing contact lenses, I reduce the bronzer, blush and contouring in favour of a fresher look that’s also more youthful. It’s undeniable that a chunky frame can cause rather dull-enhancing shadows on the face, so it’s even more important to counteract them and reflect the light. The under-eye area is the main focus, so ensure you’re using a heavy duty concealer to cover any nuances of a late night; follow this up with a highlighting pen such as the classic YSL Touche Eclat to lift the skin and reduce the shadow. Make sure you apply on the crease where your under eye area joins the cheek, buffing in lightly with a Beauty Blender for an effortless and easy to achieve glow. 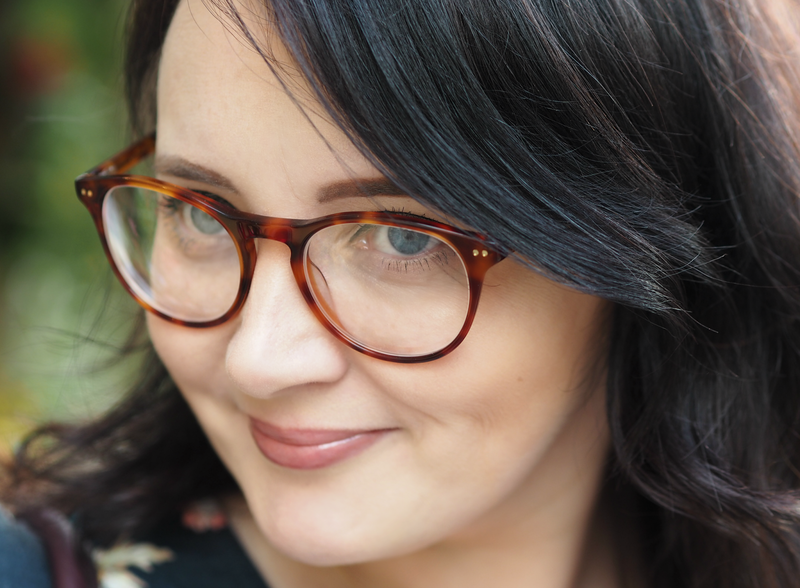 My eyebrows have become incredibly important to me over the last couple of years (once you’ve been shown how much a well groomed and shaped brow can change the look of your face, you won’t go back,) but as a glasses wearer they’re even more vital. Brows should be well arched and neatly groomed, with a pencil or cream used to fill in any gaps; because the frame often conceals elements of your brows it’s important to make them stand out. Using a precise and angled brush outline the top and lower sides of each brow, filling them in lightly with more focus on the outer end (which should be slightly darker.) Some of my fave products include Benefit’s Ka-Brow and Anastasia Beverly Hills Brow Pommade, which both last for ages. Want your eyes to stand out, even though there may be a few millimeters of plastic between you and those looking into them? Line them with a dense black or brown pen, giving your gaze depth. My personal favourite is the Estee Lauder Little Black Liner, which offers both a thick and a thin end to create the result you desire; you can help open your eyes even more by making the outer corner slightly thicker too. look to pop and ensure your complexion isn’t left looking washed out, so don’t be afraid to wear a statement lip or bring everything together with an understated gloss. Right now I’m obsessed with the new glosses from Elizabeth Arden, as well as my all time favourite Clarins Lip Perfectors – but if you want a cheaper alternative you can’t go wrong with Bourjois, Rimmel or Sleek. Do you have any other top tips for creating an every day makeup look if you wear glasses? A tip for older women who must wear glasses…..forego the mascara on the bottom lashes and just use your liner….and soften the line. Reason 1: Your glasses have a tendency to magnify and/ draw attention to your undereye area so any dark circles, lines, wrinkles, crepiness is going to be more prominent/obvious. Reason 2: As we age gravity takes it's toll, not only on our bodies but our faces as well. You want to "lift" the face by drawing other's eyes upward when they're looking at your face. Mascara on your bottom lashes is like a bunch of small arrows pointing downward to the very things we're trying to draw attention AWAY from. And, if like many women, your lashes and brows are thinning, then putting mascara on the five or six remaining bottom lashes is, again, drawing attention TO the areas we're trying to distract attention FROM. A guy once told me that when he saw older women wearing full eye makeup, the mascara on the bottom lashes forcibly reminded him of dead spider legs dangling down from their eyes and pointing to every wrinkle and line, lol! I've found that with my clients and myself that, as we age, less really is more when it comes to our makeup. I don't wear mascara on a daily basis (way too blonde) but I do find making sure my undereye shadows are properly concealed and my brows look good my eyes don't seem too small under the lenses. P.S you look fab. I will tell my sister about this. I think she needs your tips on how to apply makeup for girls who are wearing eyeglasses. It seems that she's not that confident wearing glasses for its just her first time doing so. We bought her glasses at EO.